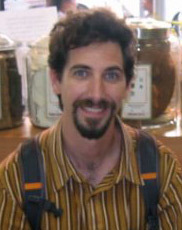 Joseph Davis, a California State Licensed Acupuncturist (L.Ac. ), herbalist, and Assistant Professor at ACCHS, came to Chinese medicine via his study of the martial arts of Tai Chi Quan and Ba Gua Zhang. These subtle practices rely on the cultivation of relaxation and sensitivity to generate health and skill. After graduating from UC Berkeley, he subsequently traveled and lived in Asia, studying meditation, martial arts, yoga, and Chi Gong in Korea, Thailand, Taiwan, and India. Here he also witnessed Traditional Chinese medicine in public health settings, where it was being used to address the needs of large populations of people. Returning to the States, he completed his Masters of Science in Chinese Medicine at the Academy of Chinese Culture and Health Sciences (ACCHS). He currently teaches didactic courses, as well as Tai Chi and Chi Gong, for the acupuncture program at his alma mater. He is certified by the National Acupuncture Detoxification Association (NADA) as an Acudetox Specialist, and has been an intern at the clinic of renowned fertility specialist, Dr. Lifang Liang. He has also studied the organic cultivation of Chinese herbs at the Chinese Medicinal Herb Farm in Petaluma. He has completed advanced trainings in Master Tung's traditional family acupuncture. Joseph brings his knowledge of the context, breadth, and philosophy of Eastern cultures to his practice of medicine. Health cultivation is not a "fix" that a doctor or acupuncturist gives you, but is a process that the practitioner and patient engage in together. Movement, lifestyle, diet, and meditation, as well as acupuncture and herbs, can all be life-giving parts of this journey. He lives with his family in north Oakland, and is delighted to be able to offer his community the many approaches to wellness of Chinese medicine. Joseph is also a professor at Academy of Chinese and Health Sciences in Oakland CA.